TB, or not TB, that is the question! A few days ago our herd of suckler cows underwent its annual routine TB (Bovine Tuberculosis) test. 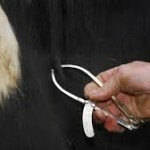 This is an anxious time for any livestock farmer, as it can have devastating consequenses. 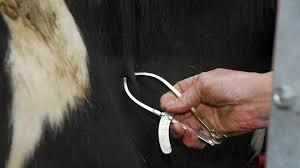 The TB test involved shaving two small sites on the cows neck, then measuring and recording the skin thickness at both sites.The vet then injects tiny amounts of deactivated TB virus of 2 types, 1 is bovine TB and the other is Avian TB. The cows are then left for 72 hours and the skin in the 2 sites is measured again. 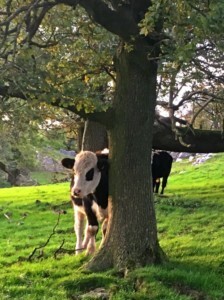 If there is a thickening of the skin greater on the bottom site (bovine TB) by a specified amount, then this is a positive reaction, which is not good news! Finding Tuberculosis present, even in just one cow has massive implications on the next year or more of our farming practices, let alone our income! A positive reactor cow is taken away and slaughtered and a full examination of the lungs is made post mortem to confirm the infection is present. The farm is immediately placed under movement restriction, which means that no cattle may leave the farm unless going direct to slaughter. These restrictions are the same if you have one reactor or 100! Some local farms have lost 50 or more cows in one test, which is soul destroying when your whole life is dedicated to raising and caring for your herd. 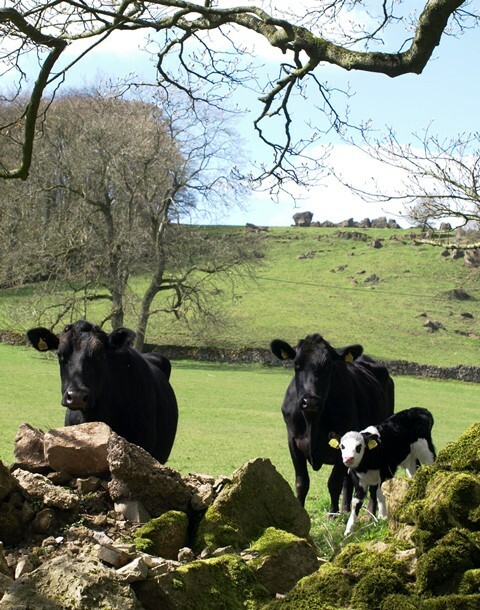 If a farm has a positive test then all animals have to be retested every 60 days until 2 clear tests have been achieved, only then are cattle movement restrictions lifted. These extra tests place great strain on both man and beast; there is always a high risk of another failure, and the cows get to know what is coming and don’t like to cooperate! A great deal is said in the press by all sides about the cause of the spread of TB from wildlife and the possible control of such. Each person must make up their own mind as to the facts and I will not get into that debate here. Fortunately our test last week was clear, with no cows reacting so our business can carry on as usual. When we sell stock to another farm it must have been tested for TB in the 60 days prior to moving house. Sometimes this means an extra test for any cattle we need to sell, but we usually take advantage of a regular clear test result to sell our stock. 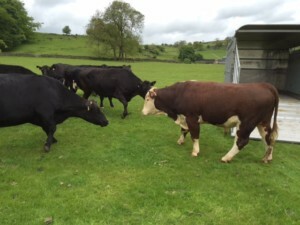 In June 2015 we bought our pedigree bull, Gawsworth Phil 28th, to be the new husband to our ladies (if you know what I mean, nudge nudge, wink wink!) He has done his job wonderfully well since then, but as time passes his daughters are now old enough to enter the herd as breeding animals. This means Phil has to go (while we have a clear test window). We will miss him as he has been a well mannered chap who has produced some lovely calves. Fear not, he hasn’t gone to the great pie factory in the sky, but has moved on to a whole new herd of ladies! Over the 3 years here he has fathered around 75 calves, many of which can be seen in the fields around the farm, and there are another 20 or so are still to be born this spring. Shortly I will start looking for a new husband for my ladies, but not until July as a cow is pregnant for just over 9 months and we don’t want any calves born until April when the grass is growing again. Watch this post for news of the new bull later in the year, as well as the calves when they start arriving in April. A bustling, vibrant market is nothing new in Ashbourne; the town was originally granted a market charter way back in in 1257. Today the tradition continues with a thriving Artisan Market held on the second Sunday of the month. Ashbourne became a prosperous and fashionable social centre for the wealthy during the Georgian period, with six coaching roads meeting here, including the route from London to Carlisle. The market place was originally much larger than the cobbled square where the current market is held, but there is still space for lots of fabulous stalls. 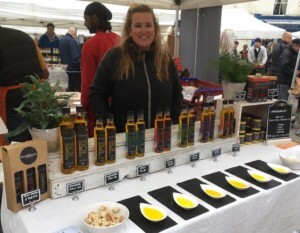 Today at Ashbourne’s Artisan Market or Malt Market the emphasis is very much in line with our #LoveLocal ethos and traders are carefully selected for producing high quality authentic goods. The atmosphere is vibrant and there is a wide variety of goods on sale, whether it is something to tickle your taste buds, a gorgeous gift, a treat for someone special, or simply stocking up on essentials that you can’t find elsewhere, you’re bound to come home with some must have goodies. It’s also a great source of inspiration if you’re looking for Christmas presents! 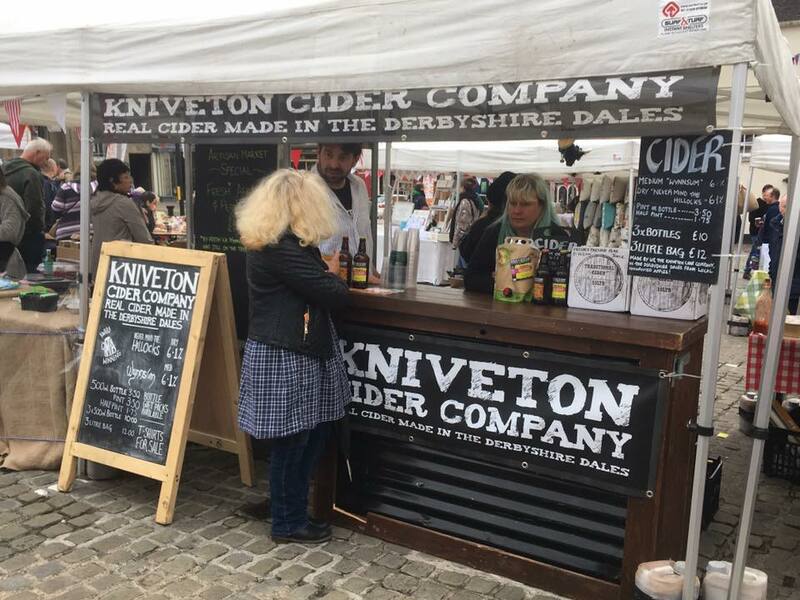 As well as tasty treats, you can sip the #LoveLocal Kniveton cider, chat to the passionate artists, knowledgeable vintage dealers and creative designer-makers, whilst being entertained by local musicians. 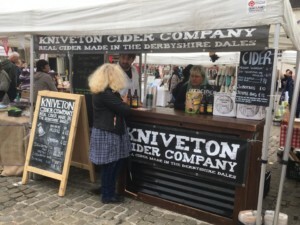 It’s a true celebration of all things local and our fabulous Peak District artisan traders will have been busy, baking, brewing, preparing, making, designing, distilling, sewing, stitching, stirring, cooking, sourcing, painting, growing and constructing for your delight! There is a special festive market on Sunday 25th November, from 10am to 4pm to coincide with the switching on of the Christmas lights! A family day out with something for everyone, including the dog! Why not come and stay in one of our cosy log cabins or glamping pods and get your Christmas shopping sorted early? 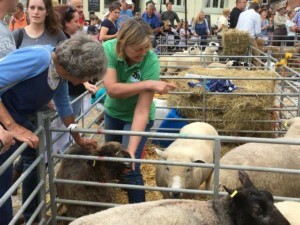 Ashbourne Sheep Fair today was a real celebration of all things sheep. 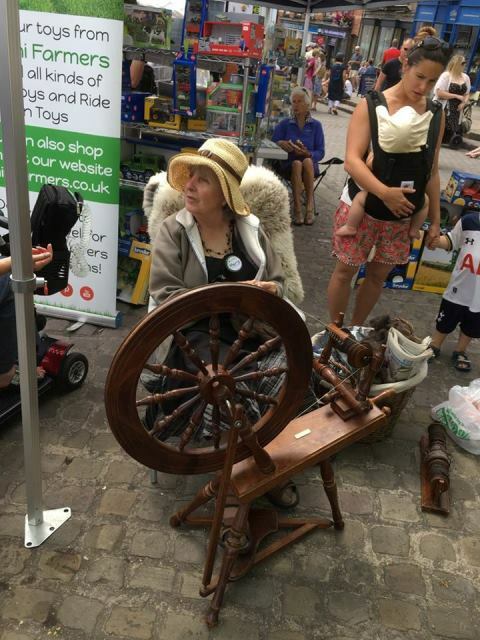 There was a great turn out of folk to watch the hand shearing demonstrations, wool yarn spinning and the mock auction, which all gave the public an insight into the history and tradition of sheep farming in the Derbyshire Peak District. 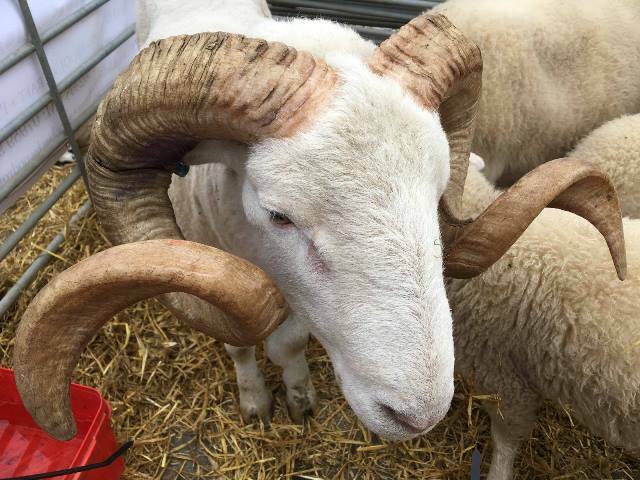 It was fabulous to see 17 breeds of sheep on display so that you could get up really close and compare the differences. The length and quality of wool varies tremendously, some sheep produce better meat and watch out as some breeds have the most amazing impressive horns! 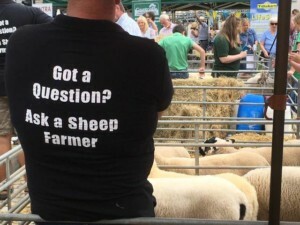 There were lots of fun family activities from, guess the weight of the sheep, a sheep bran tub with a difference, to live music. The market stalls were packed with #LoveLocal sheep related goodies including, Snelston Tweed fabrics and clothing, the The Woolroom duvets, mattresses and pillows, Drynose Dog Designs with wonderful quirky glass ware and gifts and David’s favourites – chocolate sheep-shaped lollies and cider from Kniveton Cider Company pressed from local apples. If you had a question there were plenty of expert farmers on hand to explain the different attributes of the various breeds and geographically where they are best suited to graze. 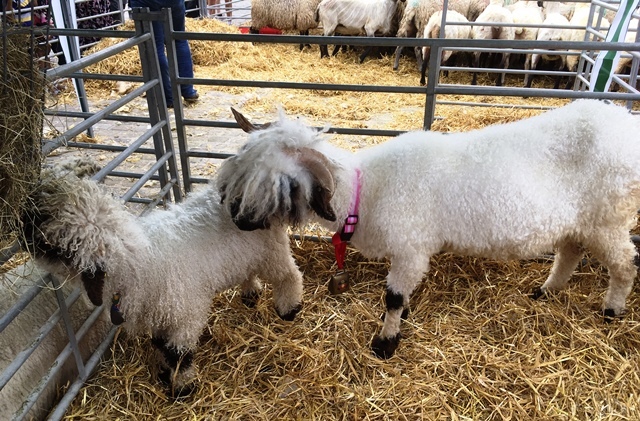 It was wonderful to see some more local rare breeds including the Whiteface Woodland and the Derbyshire Gritstone, one of the oldest breeds, which as the name suggests, is native to the North of the Peak District, where it can thrive on the moorlands. For wool quality and sheer cute “ahh” factor the Valais Blacknose stole the show with their fluffy curly fleeces. As you can tell by their little bells round their necks they are not native to Derbyshire, but come from Switzerland. This means that they are adapted to hill pastures, and are thus becoming more popular in the UK. You can find out more about the various sheep breeds on the Ashbourne Sheep Fair website. 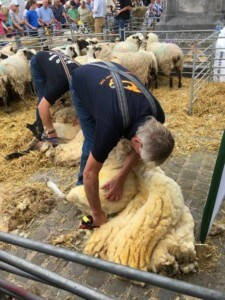 The Sheep Fair took place on the main market square where weekly markets have been held since the first charter in 1257! It was a great success and is sure to take place again next year so why not join in the fun? 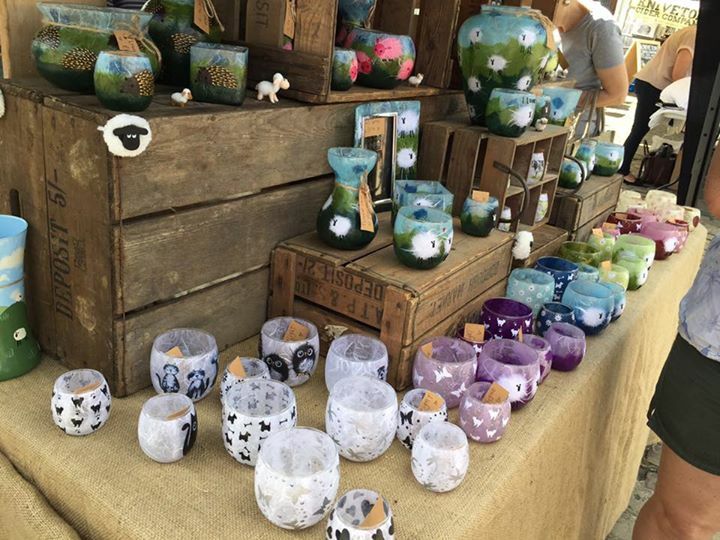 In the meantime the good news is that the Ashbourne Artisan Market is being launched on 10th September and will take place on the second Sunday of every month. I can’t wait to see what #LoveLocal delights will be on sale! 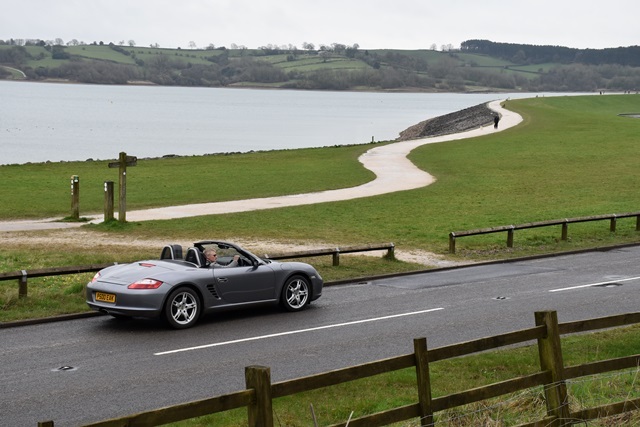 In celebration of English Tourism Week, #etw2017, we wanted to showcase some of our local Peak District area highlights and what better way to do it than touring in a powerful Porsche! The soft purr of the 6 cylinder engine as we gently ease out of the farm yard followed by the deep throated roar as we accelerate down the drive – what a sound! 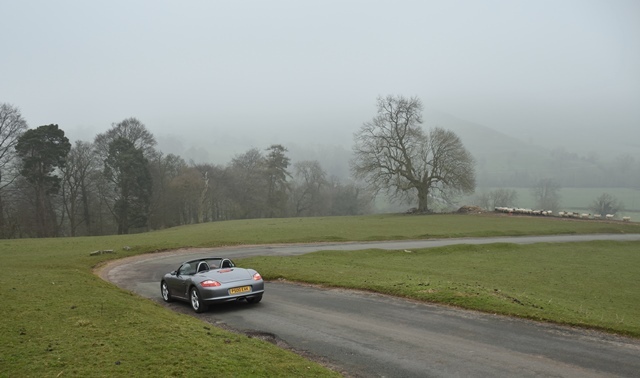 Vroom and we are off in our Peak Performance Hire Porsche Boxster for an exciting tour of the scenic Peak District countryside. 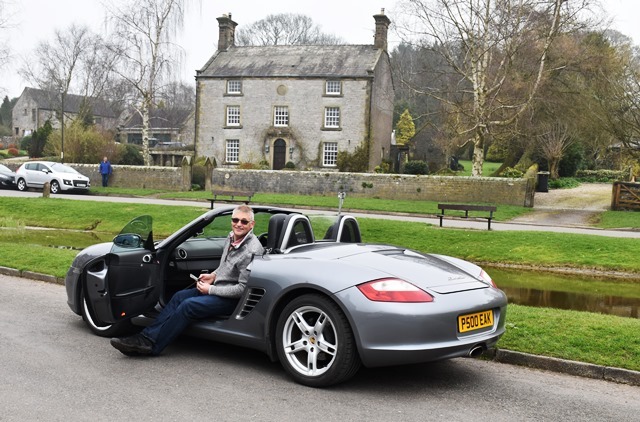 Smoothly winding up the snaking hills, the top down, wind blowing through our hair, the feeling of freedom is exhilarating.The silver grey Porsche blended into the misty grey clouds as we approached Dovedale and drove down to Ilam village. Arriving at Ilam Park we didn’t have time to stop for long, but it is worth exploring the ancient semi-natural woodland — Hinkley Wood — designated as a Site of Special Scientific Interest (SSSI), noted for its small-leaved and large-leaved limes. You can pack a picnic or there is an excellent tea room and you can leave the car and take a walk along the valley to the famous Stepping Stones at Dovedale. 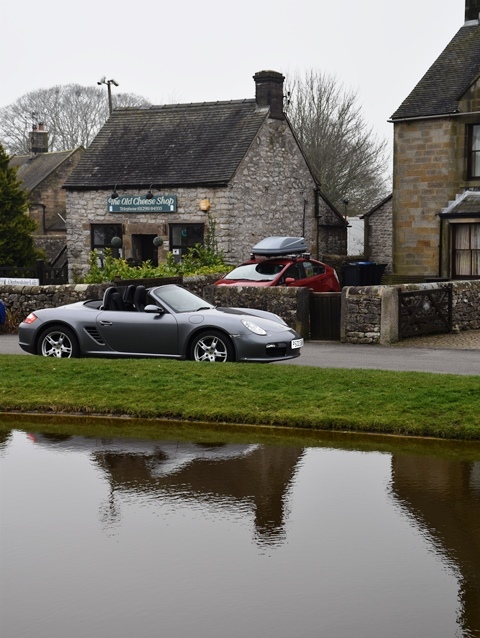 Our Porsche tour continues with slick speed it’s not long before we reach the picturesque village of Hartington. 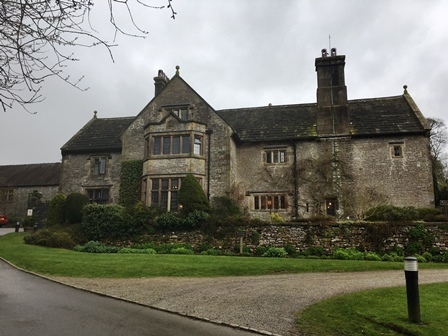 This magnificent 17th Century manor house, complete with oak paneling and enormous fire places is now an amazing youth hostel. In 1745 Bonnie Prince Charlie, also known as The Young Pretender, is reputed to have stayed at Hartington Hall. He would have arrived using horsepower, but not a Porsche!! Having reached Derbyshire the lack of support Charles and his army had expected from English Jacobites forced them to turn back! Although a dull day we were still able to tour with the top down, especially as the heated seats kept you warm! Hartington is an iconic traditional Peak District village with stunning stone buildings and a duck pond. 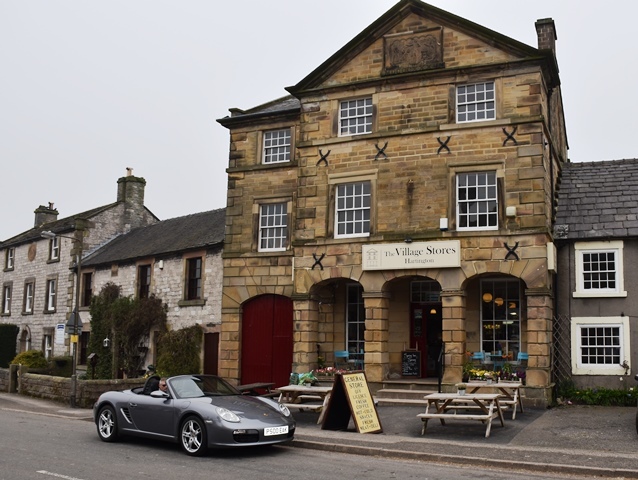 Famous for its cheese production Hartington offers visitors the chance to discover a real taste of the Peak District with many of the shops, pubs and tea rooms serving local foods.We #LoveLocal and stopped off at The Village Stores for a freshly brewed coffee. Cheese, along with oatcakes and ale has been the staple diet of Derbyshire folk for centuries – and not only in the `snap-tins’ of the lead miners! Roman legions carried cheese to supplement them on their long marches across the county two thousand years ago. Later, during the Middle Ages cheese was traded at local markets throughout the county, with Hartington being the first to be granted a Market Charter in 1203 by William De Ferres. Almost every farmhouse in the Peak District would at one time have made it’s own cheese and sold it at the local market. However in 1870’s the Duke of Devonshire founded The Cheese Factory at Hartington. The Cremery was one of the three sources of Stilton, and also produced its own unique Dovedale cheese and others such as Buxton Blue cheese. Whilst a market hasn’t been held for many years Hartington’s past wealth and importance is clearly visible in the form of impressive stone cottages and large houses around the village square. The many ancient roads and trackways that still meet in the village provide some fabulous walking routes. 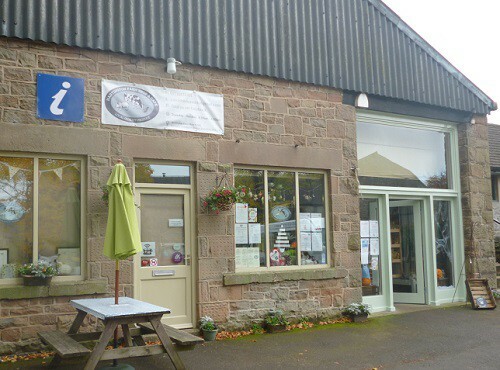 The factory was closed in 2009 after being sold by Dairy Crest, but cheese production was restarted in the parish in 2012 with the traditional Peakland White, Peakland Blue, and Stilton now available from The Old Hartington Cheese Shop in the middle of the village by the duck pond. Plenty of space to pull up and park your Porsche! Did you know it takes 70 litres of milk to produce a traditional 16lb Stilton cheese? That is an average cows milk production for 2 days! In the meantime why not hire a Porsche from Peak Performance Hire and take your own tour? It’s not as expensive as you think and Liam can suggest suitable Peak District routes. The quaint village of Hartington is just a 15-20 minute car journey through the rolling hills of the Derbyshire Dales. Alternatively you can cycle along the High Peak Trail, cross over the A515 and drop downhill to the village. 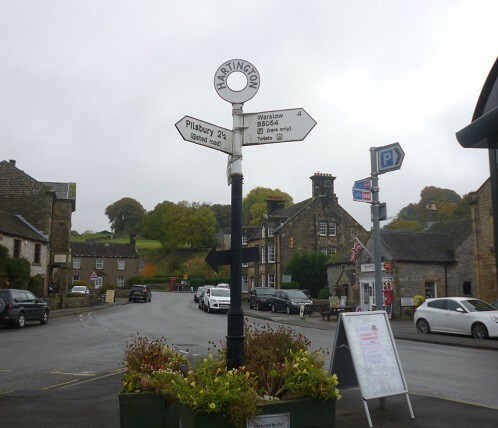 We spent a lazy afternoon wandering around Hartington to help you to plan a day out whilst you stay at Hoe Grange Holidays – the things we have to do for our guests!. The first thing we discovered; Hartington was the first village in Derbyshire to be granted permission to hold a weekly market in 1203, selling locally made goods and farm animals, and we certainly got a sense of that as we walked around the village. As it was a weekday, we parked in the Market Place for free, although on a weekend it may be pretty busy, so there’s a larger car park (chargable) too. 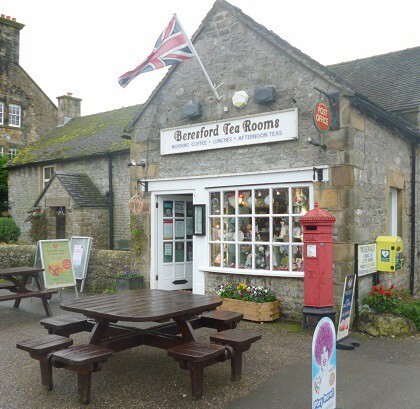 We made a beeline for the Beresford Tearooms and Post Office (next to The Devonshire Arms pub) because we’d heard they have home-cooked traditional food. The Pumpkin & Spice soup accompanied with a ½ baguette (£6.50), and the Country Vegetable soup with a cheese scone (£4.95) were hearty and filling. Somehow we resisted the tempting scones with clotted cream and jam! We took a circular, anti-clockwise route around Hartington, noting the village newsagents, St Giles Church (which dates back to the 1200s) and the Village Hall. 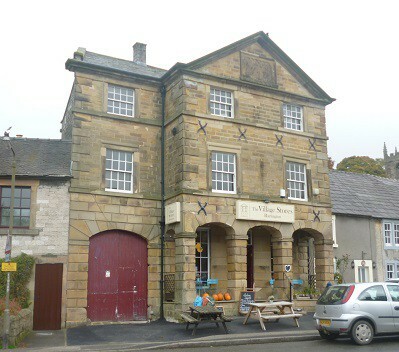 The next shop to take our fancy was The Village Stores an old building packed to the rafters with local produce. 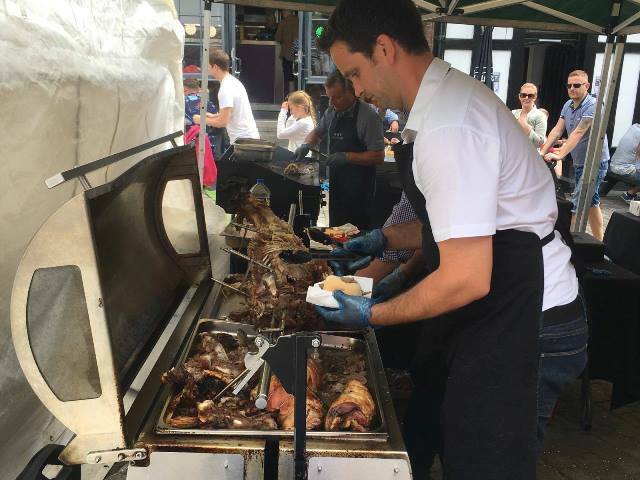 We always #LoveLocal, and this store sells an amazing selection of local meats, fruit, vegetables, beers, wines and spirits, hot pies and hot drinks to take away. To make your holiday hassle free you can even pre-order a basket of goodies, or a BBQ pack, from The Village Stores before your stay at Hoe Grange Holidays, and pick them up when convenient. The next shop along our trail was Hart of the Country, a real countryside shop with walking sticks, sheepskin rugs, handbags, postcards, sweets, you name it they probably sell it! 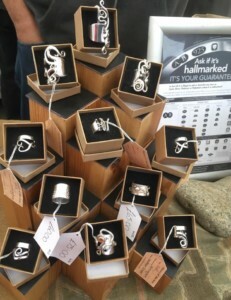 Ideal for all those little gifts to take home for family and friends. 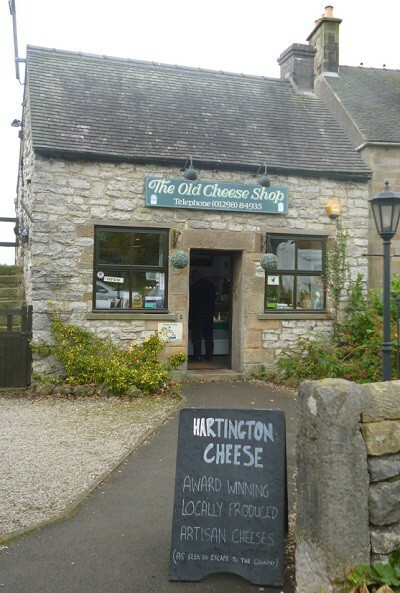 You simply can’t visit Hartington without calling into The Old Cheese Shop. 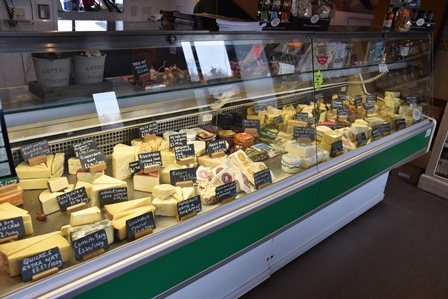 The cheese factory in the village used to make ¼ of the World’s Stilton cheese until 2009 – luckily this shop still exists, selling English artisan cheeses, including Dovedale Blue and Peakland White which is made at Pikehall, just a few miles from Hoe Grange. You have to cross the threshold and take a big sniff, the aroma is wonderful! Matilda Bay was calling us from the other side of the village, so we had to obey, and what a lovely shop of treasures, cards, coasters, gifts, jewellery all displayed with care and precision. Next door is the Antique Shop, which on this occasion we didn’t venture into, so we hot footed it down to the Farm Shop around the corner (Public Toilets available here). There’s a warm welcome at The Farm Shop, plenty of great produce, gifts, handmade crafts and a very sweet tearoom in the rear. 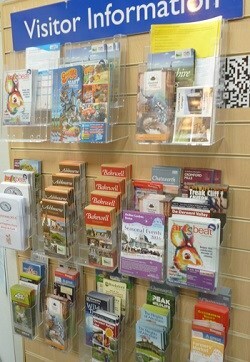 There’s also a wall of Tourist Information leaflets by the cafe counter – which was the perfect place to plan our next Peak District National Park adventures! How can I get to Hartington? The village lies within a triangle of Buxton (to the north), Leek (to the West) and Ashbourne (to the South East.) You can drive, or catch a bus from Buxton, Ashbourne, Bakewell or Chesterfield. Or you can cycle along the High Peak Trail from Hoe Grange. Hartington is known for special events, such as the unusual art of Well Dressings, the Hartington Wakes (traditional agricultural show), the Oddfellows March (a local friendly society) Hartington Sports Day (family fun for all ages), a Secret Garden Trail and the Royal British Legion hold annual events too. So much to do in the Derbyshire Peak District you’ll need to stay with us for at least a week! To market, to market to buy a fat pig, home again from Bakewell market, jiggety-jig! Our holiday guests love to see the calves running around the farm fields with their mothers in the Spring, but let’s not forget the farm animals are here for a reason. Ours is a beef herd and the calves grow up to be 500kg of glorious Derbyshire prime beef. As the “suckler” cows graze freely in open fields we sell our young animals at about 16 -20 months old before they are fully grown. They then go onto specialist finishing units who feed them up and put the meat on them ready for slaughter. This is the most cost effective way for us to farm in the Derbyshire hills as it is too rocky and high up to grow corn or other fodder crops. 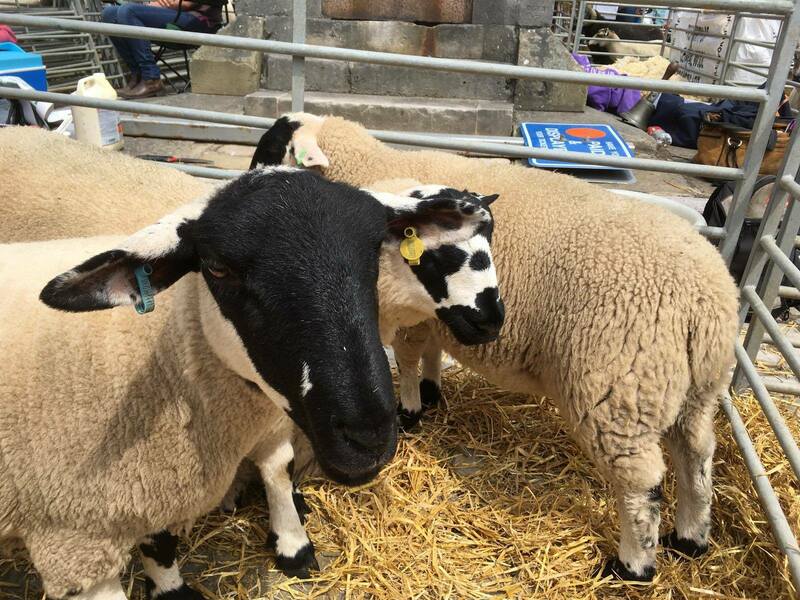 Our animals are sold at auction in Bakewell Market just 9 miles down the road. The livestock market was redeveloped in the late 1990’s and is now one of England’s largest. Incredibly the market dates back earlier than 1330, at which time the people of Bakewell claimed to have had a market from time immemorial! Bakewell town’s name comes from Badecanwylla, mentioned in the Anglo-Saxon chronicle, which can be translated as Badeca’s Well after the town’s springs and an Anglo-Saxon chieftain. To slim down our herd so we have fewer cattle to keep over the winter we recently sold 10 youngsters in one sale and 10 more a couple of weeks later. The cows get sorted into small groups of matching sizes so they stay with their friends, which is less stressful. The price the purchaser bids is per head, and as an inducement to attract the best price it is traditional to offer a little luck money with the cattle – which is why you can see me waving money about! 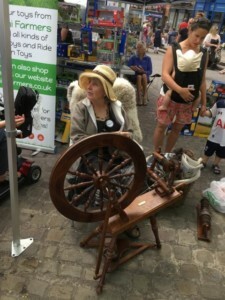 Watching the auction is fascinating and Bakewell Market is open to the public so you can also go in and watch the action. But be careful to keep your hands still and don’t catch the auctioneers eye, or you may be going home with a pet cow or two! 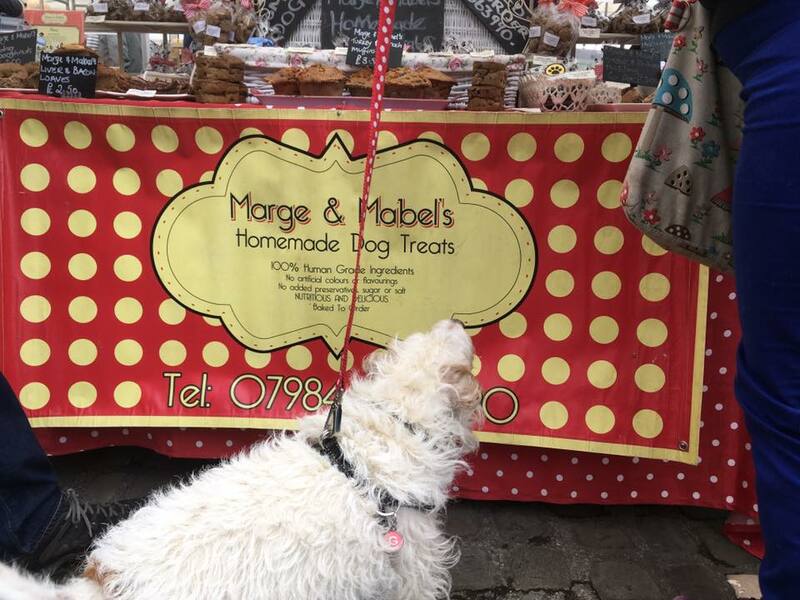 Bakewell also has a thriving outdoor market with stalls selling everything from locally grown fruit and veg to socks, sweets and exotic Indian foods. 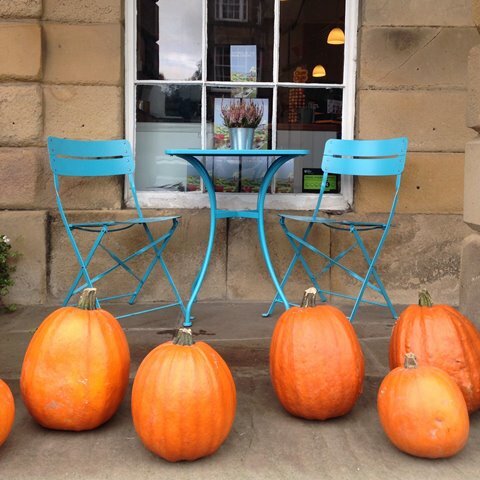 A trip to Bakewell makes an excellent day out for the whole family, as there are also lots of independent shops and cafes. Don’t forget to try the famous Bakewell pudding, the recipe for which dates back to at least 1837. Before you leave wander down to the river to see the famous five-arched bridge across the River Wye, which is one of the best-known landmarks in the Peak District. It dates from around 1200, is among the oldest in the country, and now designated as an Ancient Monument. Contrast this with the new bridge which links the town centre and the livestock market, and here you can see a strange phenomena going on! 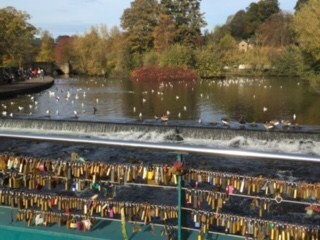 A few years ago couples started to fasten engraved padlocks to the bridge, now there are hundreds of all shapes and sizes – I wonder how may of theses couples are still locked together?? If you want to add your own lock there is an enterprising stall holder in the market who will sell you a lock and even engrave it for you.